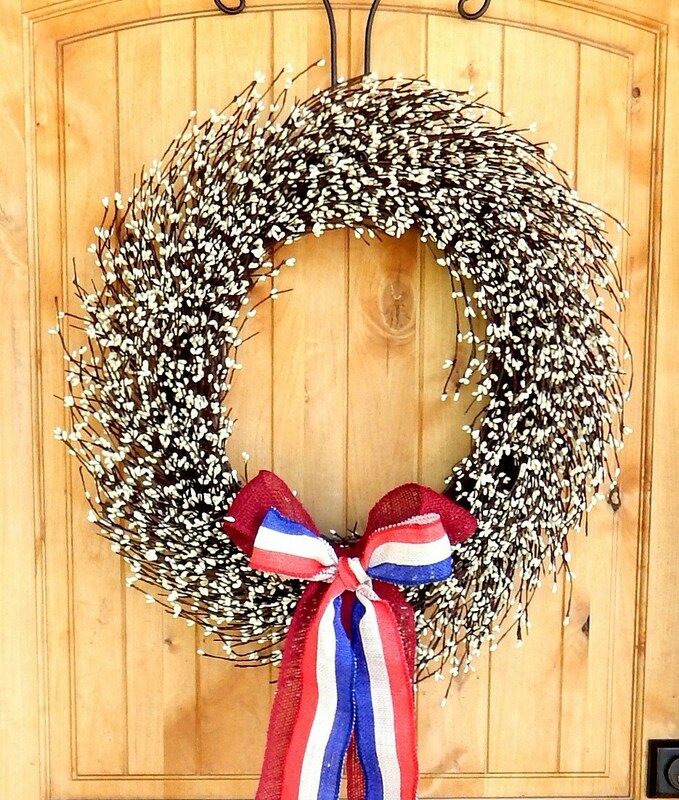 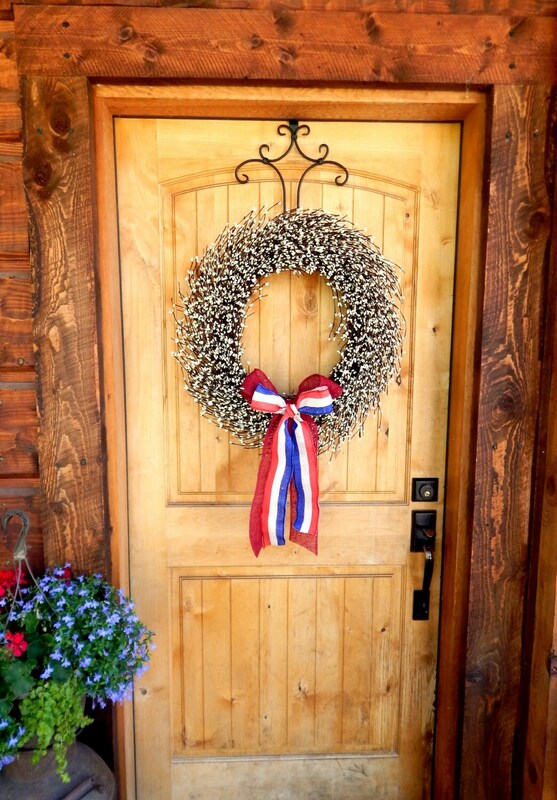 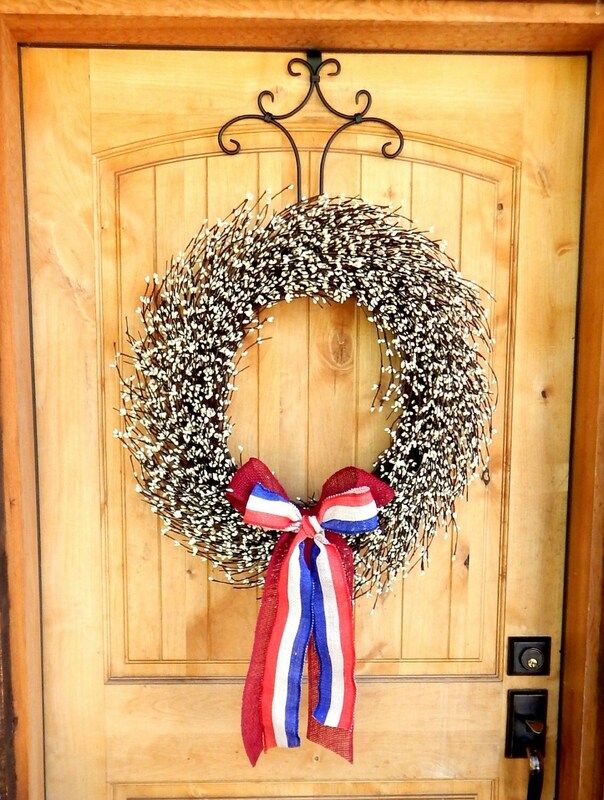 A Patriotic White Berry Door Wreath!! 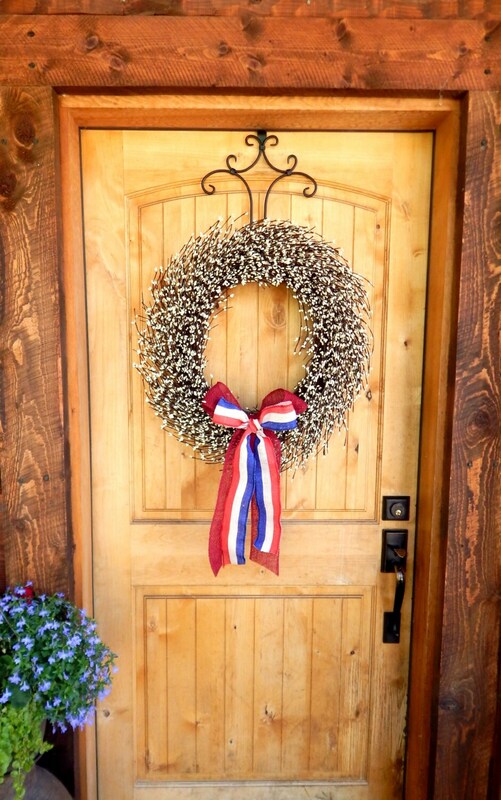 A Beautiful White Berry Wreath with a Burlap Red White & Blue Ribbon on bottom. 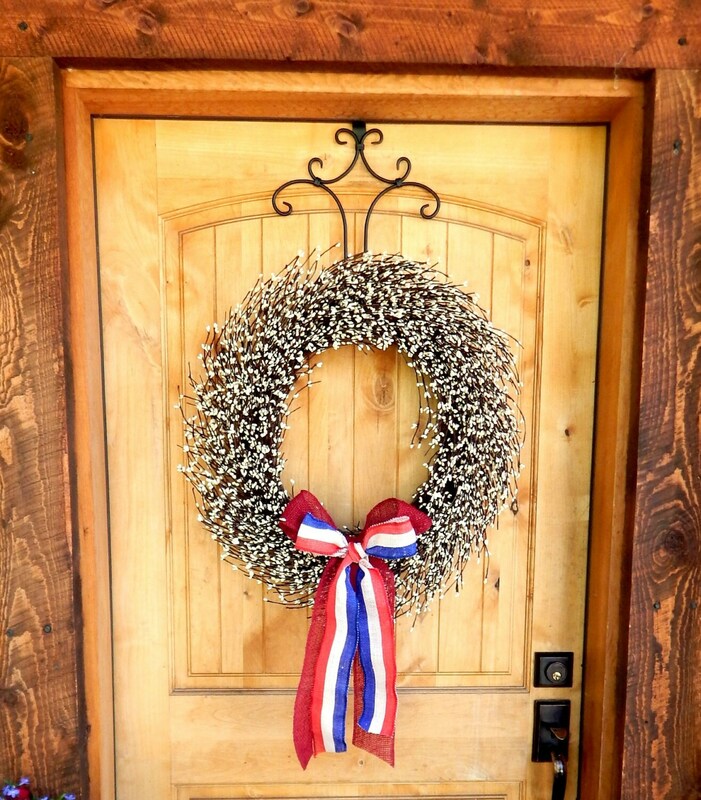 Looks great on your front door or Entry Way!